Affordable 3 bd/1ba home w/attached garage conveniently located just outside of Rice Lake & near many premier lakes & rec areas! Spacious open-concept living area & kitchen, remodeled full bath & sunny bedrooms. Livingroom & hall have new carpet! New Mitsubishi A/C & heat unit. 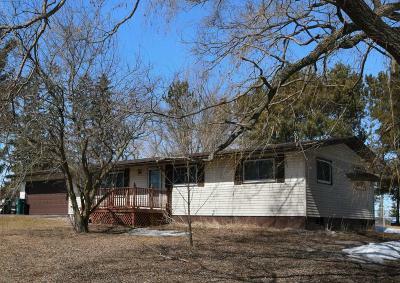 Level 1-ac lot dotted w/pines along the back, wood deck & fenced rear yard w/storage sheds. Full, poured basement has laundry, open space for storage, plus a carpeted rec area w/egress window for expansion possibilities. Directions: From Rice Lake: Hwy 48/20 1/4th North Out Of Town, To Left/North On Hwy Md/22nd To Right/East On 24th Ave, To Fire Number 2246 On Left.